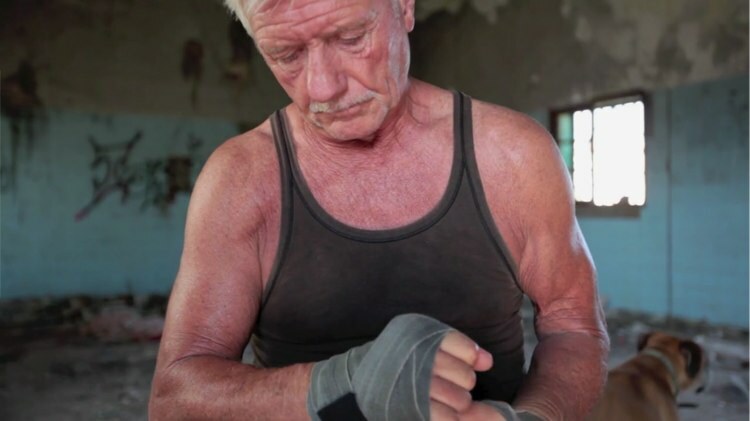 In John Hicks’ The Hardest Fight 70 year old boxer and bare knuckle fighter Dave Payne paints a picture of the deterimintion needed to be a boxer in the face of the physical onslaught the body must endure – “Shots to the body, you feel lumps of muscle seem to move around” a line that made me squirm in particular. Hicks sets Payne’s words against beautiful shots of the man training in a derelict warehouse, supported by a low key score from Marc Johnson and Gary Lawson. Anytime John, it’s a great example of how to make an impact (no pun intended) in a short amount of time.